The Lake County Captains open their season today at 6:30 p.m. at Classic Park versus the Lansing Lugnuts. So we're throwing back to the home opener last year. 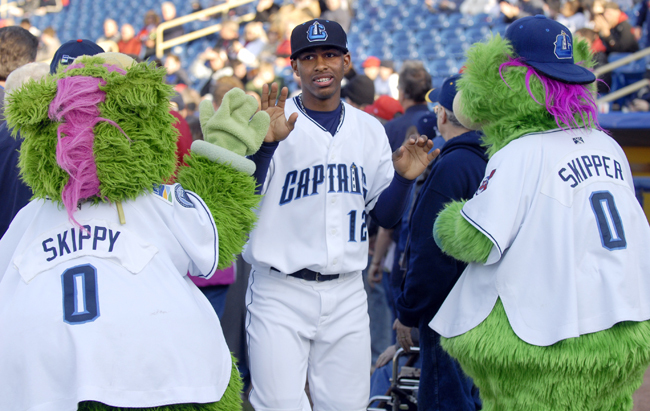 Captains shortstop, and Indians 2011 first-round draft pick, Francisco Lindor high-fives mascots Skippy and Skipper during player introductions April 12 at the home opener at Classic Park in Eastlake.